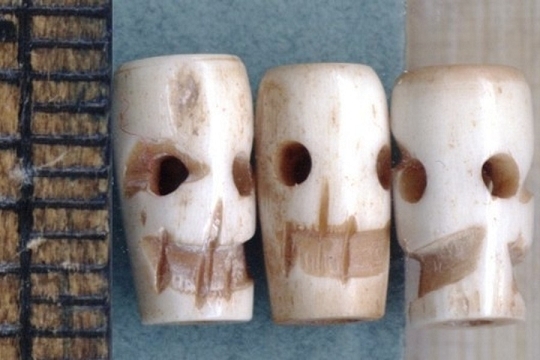 These hand-carved and smoked bone skull beads are just the thing for your Day of the Dead projects. Consider them also for a kitschy Hallowe'en earring & necklace set. 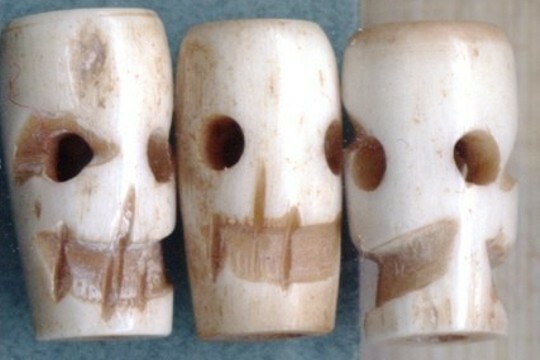 Because they are hand carved and made of natural bone, you'll be happy to find each is a bit different, giving it a unique sense - so important in art! There are three (3) beads in each set! Beads measure about 18mm high by 13mm wide. The hole size is between 1.5mm and 2mm (around 1/16 inch).